Smoothie recipes, if you do them justice, can be the most fulfilling snack or meal. When I find myself away from home with a smoothie hankering, I end up buying one wherever I can find a health nut with a blender. Delicious, but not budget-friendly. Enjoying these frothy delicacies is the easy part. Preparing them is a different story. I’ve learned the trick, though. I plan enough in advance by making a smoothie (or two) before I go to bed and I freeze it overnight. The next morning, I pull it out of the freeze, pop it into my lunch bag and by the time sounding like the perfect thing, there it is, thawed and ready (and essentially free). The second key to your smoothie recipe happiness will be making them hearty and filling enough. I’ve made too many banana, greek yogurt and almond butter smoothies with little else to know that it will only satisfy my hunger for a couple hours, if that. 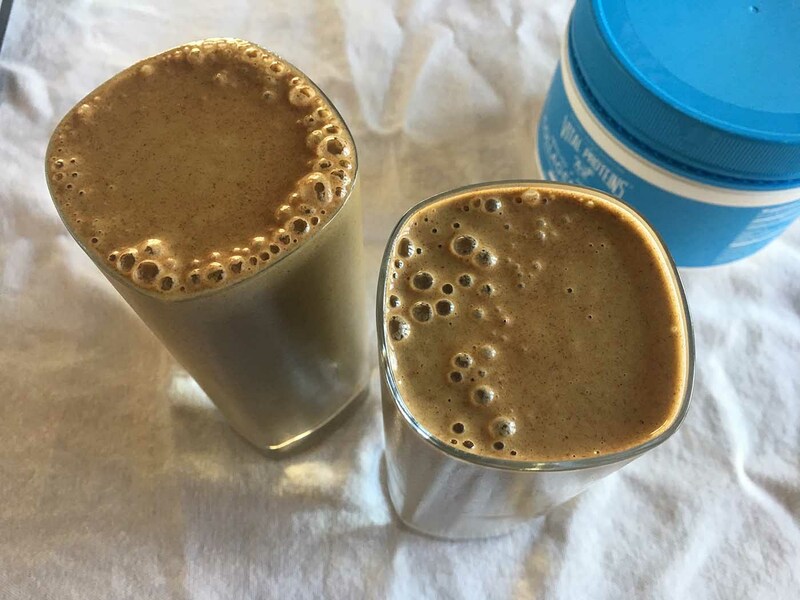 This particular smoothie recipe is an aSweatLife favorite: great for breakfast, afternoon pick-me-up or healthy twist on dessert. 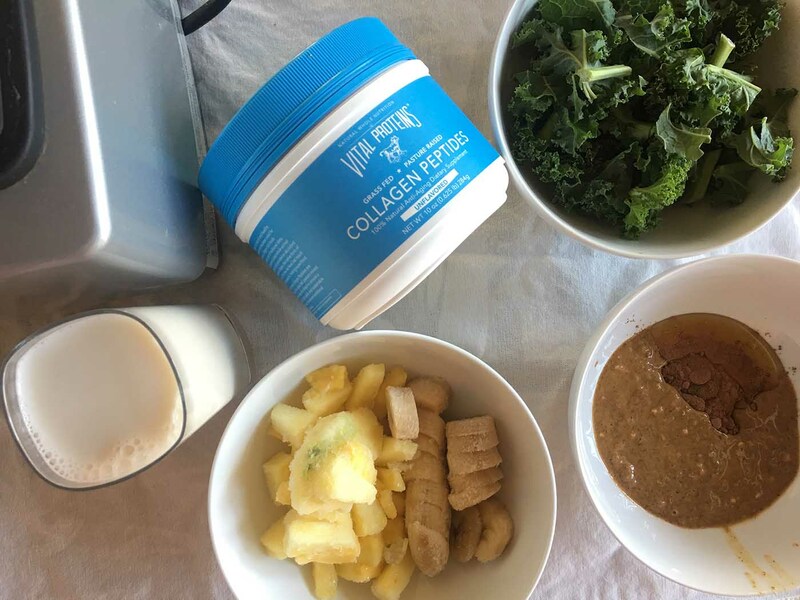 The secret weapon that makes this smoothie an ultimate superfood is Vital Proteins, which I’ve been adding to everything from my tea and coffee in the mornings to mixing into crockpot recipes for my weekly dinners. This recipe makes two servings. Easy! Combine all ingredients in your blender. Enjoy immediately or freeze overnight for the morning. Want more recipes to inspire you during the week? This week’s Wednesday email holds an exclusive recipe just for our subscribers. Subscribe to aSweatLife.com for these and other exclusives.